Here are the most recent rice cookers, including combo models that steam and rice makers that are combined with a pressure cooker and those that combine a slow cooker. 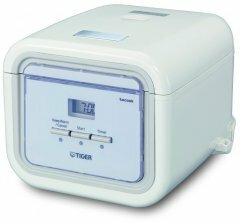 As of March 2019, the best rice cooker 2019 is the Zojirushi NS-LAC05, while the second best model is the Tiger JAJ-A55U. 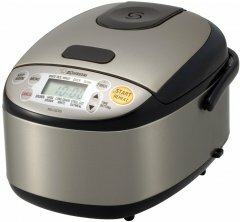 Here is the full top 10 list, then special categories and a full list of rice cooker brands and models. 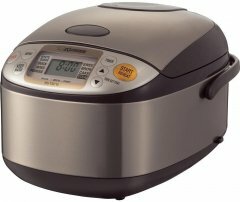 Given this rice cooker's compound ranking of 92%, we are confident that the Zojirushi NS-LAC05 is currently Alphachooser's best rice cooker 2019. Furthermore, we think that our 1974 reviews sampled from our sources give us a high confidence level (more on confidence levels) that pushes us to label it a "no-brainer best choice." 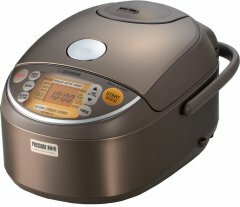 With its star rating of 4.5 averaged from 59 reviews, here is what we consider second best rice cooker. 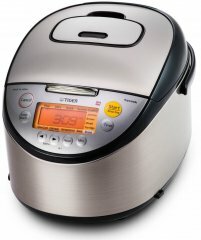 * This list is based on an in-depth analysis of hundreds of rice cooker reviews from around the web. 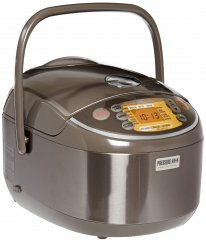 All Aroma Housewares rice cookers. 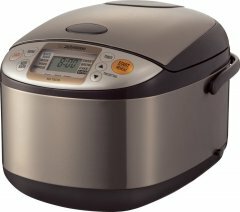 All Black and Decker rice cookers. 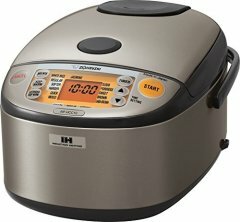 All Hamilton Beach rice cookers.